One conversation that I find difficult to have with my children is the death conversation. People die every day; we all know that death is a part of life. But none of us want death to be a part of OUR lives. That’s part of human nature. That’s part of survival. Even though we learn through the gospel that there is a better place that we will go upon our earthly demise, we can’t grasp the concept that being away from our loved ones would be better than some other place, even if that place is called heaven. And even if heaven is as amazing as Jesus describes, how do I know that that’s where I’m going? All of these questions came up in my family this past week because I had chest pains and high blood pressure that resulted in a not-so-complimentary stay in the hospital for four days. I’m much better now and am undergoing treatment for my new set of health issues. The larger issue arose when my girls started asking me: Mom, are you having a heart attack? Are you going to die? I nodded and hugged her tight. That’s what we always do as a family when something happens that we can’t control or explain. We pray. We pray for people in car accidents, homeless people we see on the streets, the kid who can’t stop crying in line in the grocery store. We make up our own prayers or pray The Lord’s Prayer. I shared the prayer for the sick with them and showed them how to look up prayers at The Book of Common Prayer online. Their relief was palatable. 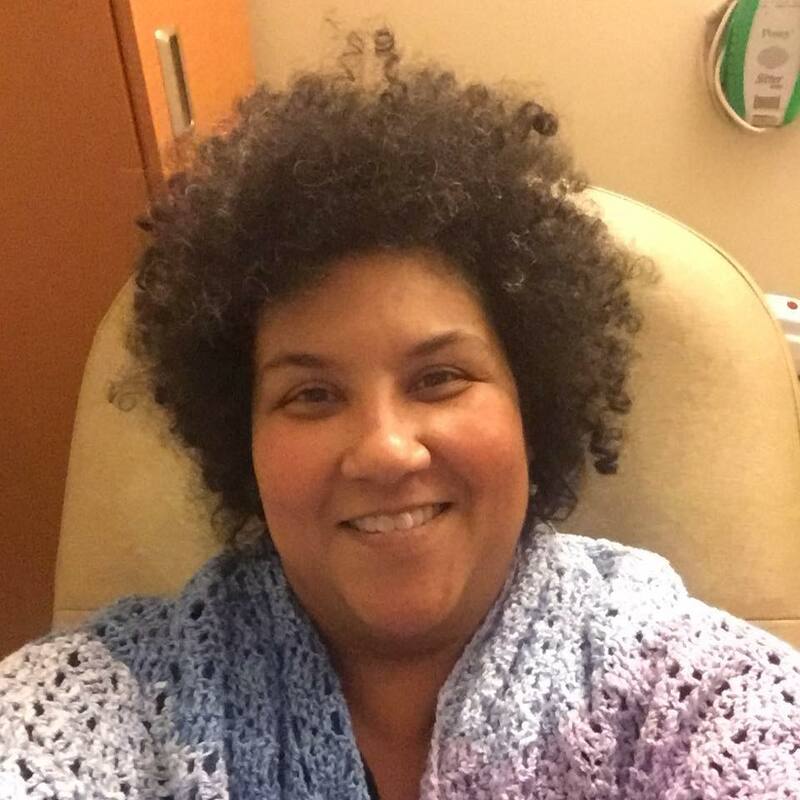 As I spent those nights in the hospital, I could feel their prayers surrounding me like the prayer shawl I received as a gift. I wrapped myself in their prayers as I faced my own fears and anxieties about my condition. Most importantly, we prayed for others patients who were in much worse conditions than what I was experiencing. We asked God to bring God’s healing love and peace to everyone working in the hospital. While I wish I hadn’t had to go through my experience, it presented my family with another opportunity to love and grow together with God all around us. We remembered not to take each other for granted. We remembered to pray when we don’t know what else to do. We remembered to call on God, and know that God will answer. When a pitch comes at us, we don’t always need to hit the ball out of the park. Sometimes, we’re the catcher of life’s curveballs. God guides the ball into the mitt and gives us strength for the next pitch. How do you talk to your children about difficult topics such as illness and death? What tools do you have in your spiritual toolkit to help you? I just prayed for you, for healing and for grace. Thank you for all you do for the Body of Christ to shepherd and model Christ’s love to Episcopalians and the wider Christian community. Ruth, thank you so much for your prayers. I deeply appreciate them, and I appreciate your thoughtful comments. Peace to you! I have just read of your time in hospital while my husband naps as he has his chemo. I am surrounded by people I am praying for as I sit here feeling the love and prayers of my family and friends. This is an interesting ‘Lenten journey’ for us all. I join my prayers and thanks for all you share…the strength your sharing gives to us all. Get well soon! Pamela, I prayed for you and your husband upon reading this comment. Thank you so much for your prayers and support. I will be sure to add your family to our prayers at 10 am each day at Forward Movement. I’m glad you feel the prayers – I feel them too. Thank you; God be with you through this journey. Peace. Thank you for your honest and inspirational posts. I am praying you will have a full recovery. It’s been a year since our son, Jeremy, age 38 had a stroke brought on by a freak accident while playing dodge ball with a group of youth in the church gym. He underwent life-saving brain surgery and we are so thankful he is alive and able to be with his wife and two young children. He is still unable to resume his job as a teacher and has the daily challenges of dizziness, headaches and mobility issues. Despite the trauma we all experienced as a family, it has drawn us closer together and made us so grateful for God’s peace and love which continue to sustain us each day. God is faithful. Wishing you and your family His peace, love and healing mercies. Nancy, I’m so glad to hear that your son is alive and with his family, which is the most important thing. I pray that his recovery continues. Bless you all. I will add your family to our 10 am prayers at Forward Movement and to my prayers. Peace be with you and your loved ones. Thank you for your kind words, I appreciate them, and you. We rejoice that you are doing better and really appreciated your open writing which always touches my heart! Thank you, Barb! I appreciate you! Bless you.